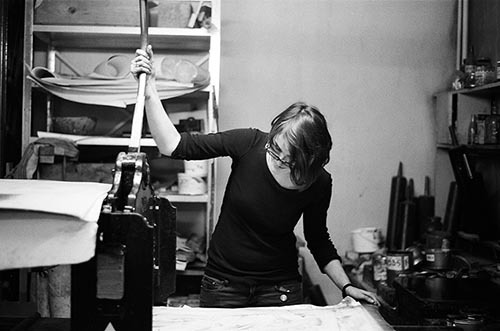 ELINA BRASLINA is a young latvian artist and coin designer. Her first numismatic project was the commemorative coin Cat’s Mill issued by Latvian Central Bank a few weeks ago. She is in right line with tradition of Nordic Europe coin design. 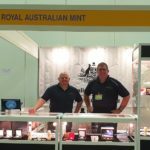 NUMISMAG wanted to interview this young talent about her last creation and about numismatics more generally. NUMISMAG wish to thank Elina for the time she took to answer our questions. 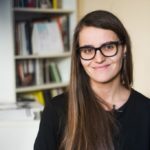 NUMISMAG: Elina may you introduce yourself and make a short personal presentation? Elina BRASLINA: I was born in Riga, Latvia, May 31st, 1988. My first field of study was French and linguistics (because I went to a school where French was taught from the first year, so I’d studied it for twelve years before going to university), but I have always been interested in art, so I also earned a BA and MA diploma from The Art Academy of Latvia, both degrees in printmaking. 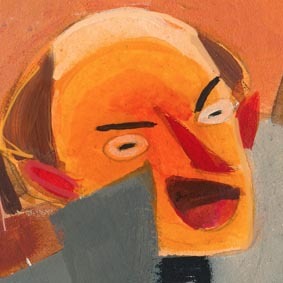 For the last five years I’ve mainly worked in children’s book illustration, and I’ve also been the production designer of a feature-length animated film. 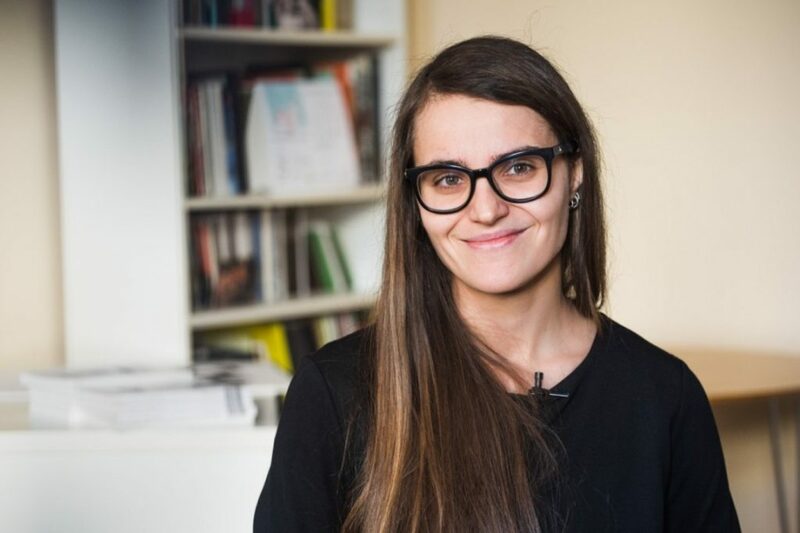 Elina BRASLINA: My father is a painter and photographer, and my mother is an art historian and works at an art museum – neither of my parents pushed me towards art, rather the opposite, they wished I would pursue my language studies. 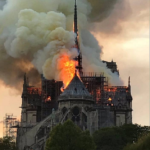 But having grown up in this environment (heaps of art books in our apartment, paintings on the walls, frequent visits to my father’s studio, and the Art Academy where both my parents worked at some point – and my father still does) I don’t think I could have ended up with any other profession. Elina BRASLINA: As an illustrator, I find a lot of inspiration in everyday events, ordinary objects, the people around me. 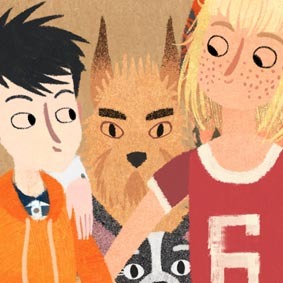 I always look for details I could later use in my illustration work, say, an odd outfit, a curious arrangement of houseplants in someone’s window, a bizarre-looking dog on the street, things like that. You would think one’s own imagination could supply such images, but, oddly enough, some things are just too weird to imagine! 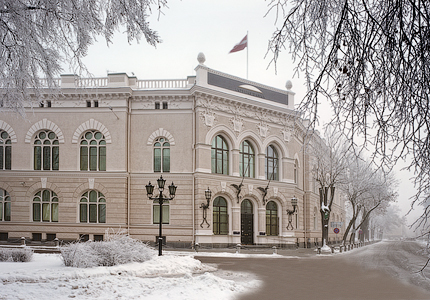 NUMISMAG: How did you become more specifically coin designer for Latvia central Bank? 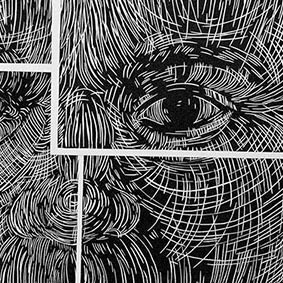 Elina BRASLINA: The Latvian Central Bank organizes contests to determine which artist will design a specific coin. While I believe there have been some open calls for design submissions, mostly these are closed contests, with specific artists who are invited to take part. I was lucky enough to have been invited. 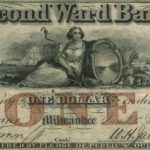 NUMISMAG: What are the different projects of coins or medals you designed until today? 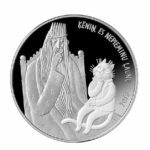 Elina BRASLINA: The Cat’s Mill fairy tale coin is my first coin ever – though I had taken part in a previous contest (also for a fairy tale coin), my designs weren’t chosen. But I’m very honored that the bank chose my design this time, especially because two other coins in the fairy tale series have also been done by Latvian children’s book illustrators. 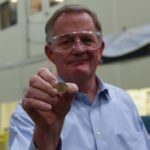 NUMISMAG: How did you get involved in Cat’s Mill fairy tale coin? Does this fairy tale have a specific meaning for you and more generally for Latvian people? Elina BRASLINA: As I mentioned, I was invited to take part in a contest organized by the Bank, probably because of my work as an illustrator – I was keen to participate, because I really enjoyed reading Kārlis Skalbe’s work when I was younger. Even though The Cat’s Mill isn’t my favorite Skalbe story, it means a lot to the Latvian people – it’s a story that talks about kindness and resilience, and it’s one of the first serious works of fiction that children read in our schools. Also, in a recent poll it was determined to be the most beloved work of fiction for the Latvian people – and not just from Latvian fiction, but the entirety of the world’s fiction (which seems incredible, but that’s how the vote turned out!). 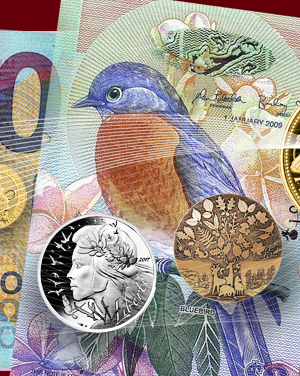 NUMISMAG: Did you draw different designs for this coin? Elina BRASLINA: Yes, I did three designs (recto/verso) for the contest, and then based the final design on one of these. All the designs were fairly similar, because they focused on the same two moments in the story. On the front we see the protagonist, the Cat, at the beginning of the story – he’s leaving his mill which he lost to a creditor, because he wanted to secure dowries for his three daughters. On the back we see him at the end – he’s sitting on the King’s lap, and the King says he’ll punish everyone who’s ever wronged the Cat (his ungrateful daughters, the creditor, the boys who attacked him), but the Cat says he has no malice in his heart, and that he wishes everyone the best. 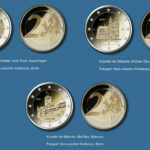 NUMISMAG: What represents for you euro coinages and more specifically euro coinages of Latvia? Do you think it is in straight line of latvian numismatics, from the origins (design, topics choice or engraving style)? 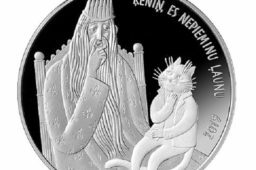 Elina BRASLINA: I have to admit I’m shamefully ignorant about the tradition of numismatics in Latvia – but I remember when my friend showed me one of the Fairy Tale coins that she had just bought – the Five Cats coin, designed by the illustrator Anita Paegle. 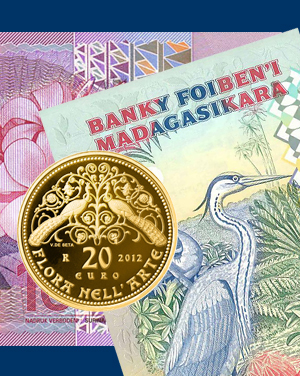 It was very colorful, with three or four different types of enamel, and I thought it was beautiful – I still think it’s one of the most beautiful coins the Bank has ever released, so in a way it represents the tradition to me, because I don’t think I’d ever heard of special edition euro coins before then. 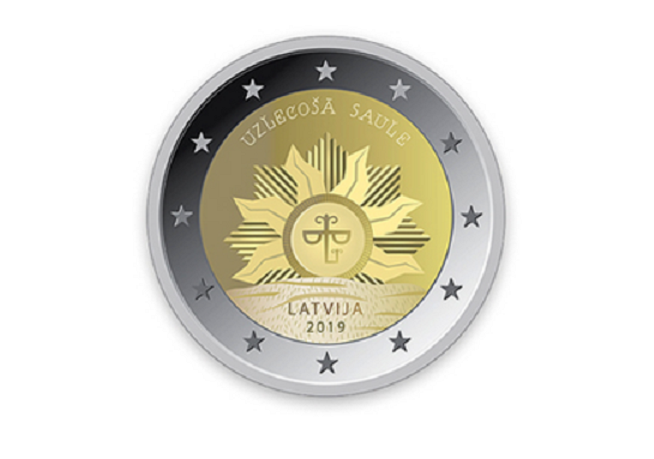 I do remember, though, when we still had the Latvian Lats, the bank would issue special One Lat coins – with either a hedgehog, a pretzel, an ant, and several other symbols instead of the usual fish, and I remember collecting some of these. But that’s where my ties with numismatics end! 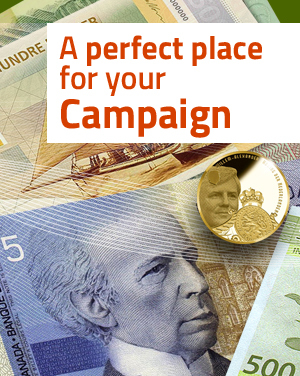 NUMISMAG: Do you know if numismatics is very popular in Latvia especially in the youth? 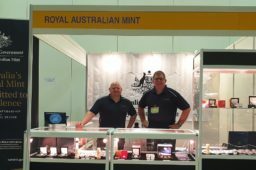 Does a national numismats club exist? To you, how many people do collect coins, medals or currencies (banknotes) in Latvia? 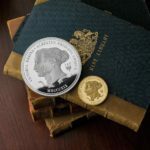 Elina BRASLINA: From what I gather, the special edition coins are mostly sold out very quickly – so there is definitely an interest in numismatics to a certain degree, though there aren’t any serious collectors in my family or in my circle of acquaintances. The friend who bought Anita Paegle’s doesn’t really collect coins, she just likes Paegle’s work as an illustrator. It’s not a hobby typically associated with young people, but I might be mistaken! 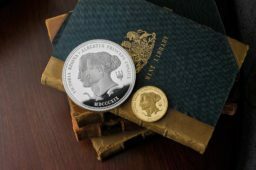 NUMISMAG: Do the national medias communicate about launch of new coins and medals for latvian public in general? Elina BRASLINA: Yes, there are news items dedicated to the release of coins, and the Bank puts out its own informative videos about new coin launches, so the public is informed – but I also have a feeling that those who are interested in the field have a way of finding out about upcoming launches from other sources, not just the media. For example, my husband’s colleague, who collects coins, had known about the Cat’s Mill coin while were still working on the final designs. 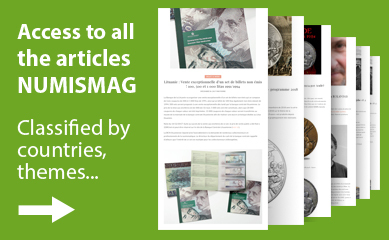 NUMISMAG: How do you see the future of numismatics in Latvia and in Europe? Do you fear a cashless society? Elina BRASLINA: I don’t know that I fear a cashless society – to be honest, as more and more transactions are made with credit cards, having to carry around cash for these few specific places that still don’t accept cards is a bit of a hassle. 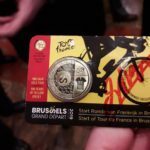 I actually use cash very rarely – for example, though I have traveled around Europe quite a bit, someone had to point out that there are specific designs for 1 and 2 Euro coins in each country – which seems like such an obvious thing to notice, but I hadn’t! 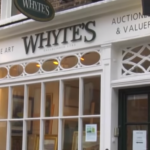 But even though a cash-free approach could seem more convenient, I am aware that a particular artistic tradition would be lost in the process. Sources: ELINA BRASLINA and NUMISMAG.